It’s obvious that over the past years, one of the biggest trends in tech was to release devices as big as possible, no matter we’re talking about smartphones or tablets. It’s pretty hard nowadays to find a phone that fits in your pocket, while 7 inch tablets are already considered small and not interesting anymore, since the most powerful slates on the market have way bigger screens. But what about those who are looking for a device as compact as possible, which they can carry around with ease, using it for checking their emails, social media accounts or a little media consuming? If you ask us, some of the best tablets on the market have a 7″ display, not to mention that they can be bought for a great price, reason why we made a small top with them. So, without any introduction, these are the best 7 inch tablets of 2014, in our opinion. Let’s begin, shall we? 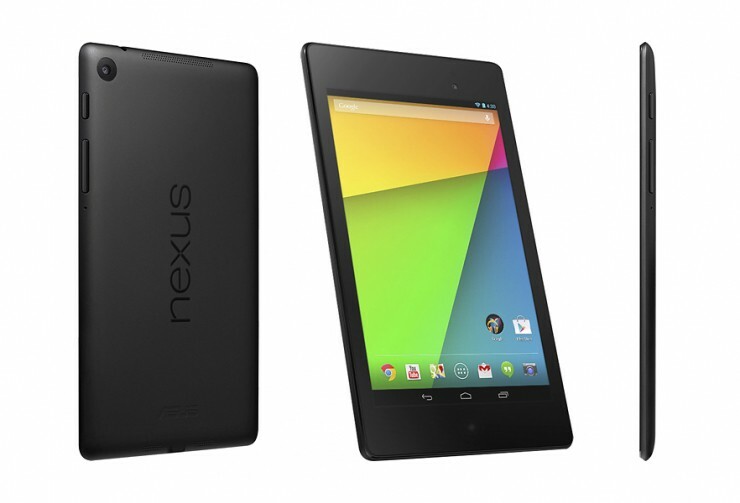 Nexus 7 2013 – We know, it’s not a recent model, but we really can’t ignore this amazing device. Google did a great job with the first generation of the Nexus 7 and when it was time for the an update, they have taken everything that made the first one so good, improved every aspect that needed it and released another premium product. Even though it’s no longer one of the top models, it sure is the best value tablet you can get right now. I mean, you get a full HD display, a Snapdragon S4Pro chipset, with a 1.5 GHz quad-core CPU, Adreno 320 GPU, 2 GB of RAM, up to 32 gigs of internal storage, and most important, priority in receiving system updates. Pretty cool, huh? Get it now, at $204.9! 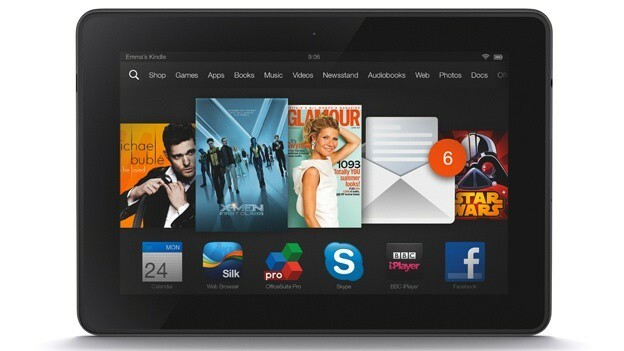 Amazon Kindle Fire HDX 7 – If you’re looking for performance, this could be the perfect choice. Amazon’s latest Kindle Fire is one of the fastest 7 inch tablets you can buy, with an impressively sharp screen, being perfect for reading books or watching movies. Speaking about books, you also have access to Amazon’s huge content library, so you will never get bored if you have this baby in your backpack. Still, it has one problem, which is the storage capacity. It comes just with 16 GB, without the possibility of expanding it, which is an even bigger issue if you like to watch movies just in 1080p, but hey, the rest of the specs include a 2.2 GHz quad-core CPU, the Adreno 330 GPU and 2 GB of RAM, so we don’t have any doubts that any game will basically fly on the Kindle Fire HDX 7. Get it now, at $179! 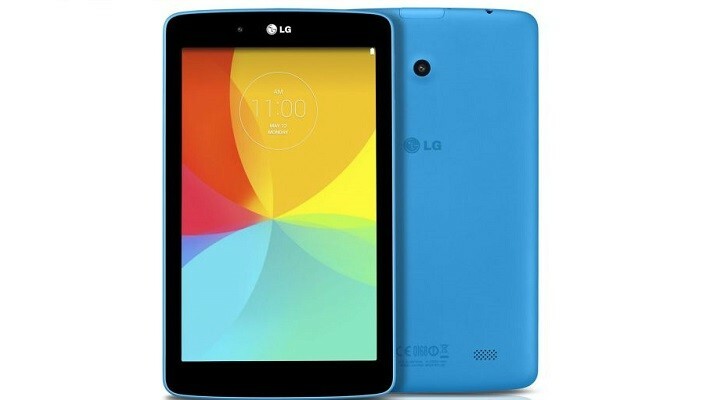 LG G Pad 7.0 – A great, budget-friendly device, which, even though it’s made entirely from plastic, it has a nice matte finish, giving it a really nice grip and premium aspect. Even though it’s the cheapest tablet in our top, at just $150, it has a decent specs sheet, with a quad core Snapdragon 400 CPU, clocked at 1.2 GHz, Adreno 305 GPU and 1 GB of RAM, while the power pack has a capacity of 4000 mAh. Oh, and let’s not forget about the 3.15 MP rear camera and the Android 4.4 operating system. For these reasons, we just couldn’t ignore it and included it in our top with the best 7 inch tablets of 2014. Get it now, at $129.99! 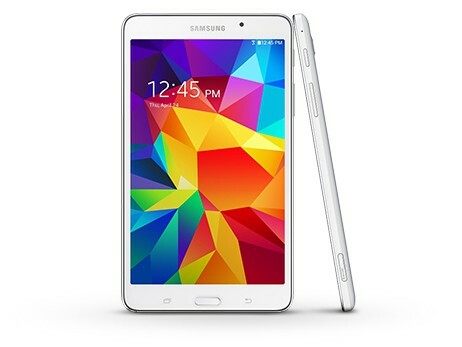 Samsung Galaxy Tab 4 7.0 – Samsung is well known for making some of the most powerful slates on the market, but they can also do a very good job when it comes to mid-range tablets, like the Galaxy Tab 4 7.0. With a very familiar design, also seen on their smartphones, it offers a very good build quality. Also, combined with the specs, from which we should mention the 1.2 GHz dual-core CPU, 1.5 GB of RAM and 8 GB of storage, expandable with a micro SD card slot and of course, a 4000 mAh battery, this Android-powered device could be the tablet you’re looking for! Get it now, at $139.99! 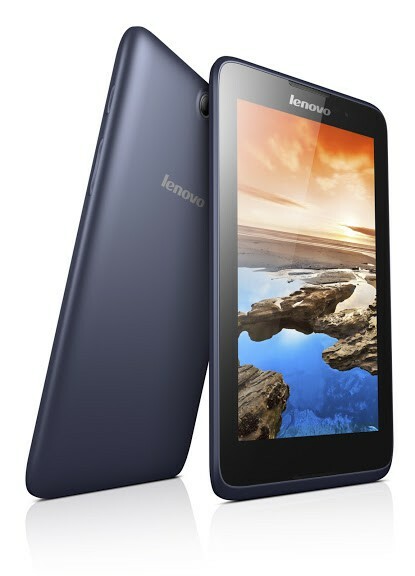 Lenovo IdeaTab A7-50 – Another cheap tablet makes it to our top. Despire not being a very important player on this market, the Chinese manufacturer Lenovo has a great line of tablets, with the IdeaTab A7-50 as a perfect representative. It comes with an HD display, while under the hood it’s loaded with a Cortex-A7 quad-core CPU, clocked at 1.3 GHz, teaming up with 1 GB of RAM and 16 gigs of internal storage, expandable with a microSD card slot. The Android 4.4 KitKat operating system runs smoothly enough, providing a really nice experience. It has a very good grip and the 3450 mAh battery makes sure you won’t let this tablet go for the whole day. It’s true, it has its flaws, but considering the price tag, it’s a great deal. Check out the special offers from Lenovo’s shop. 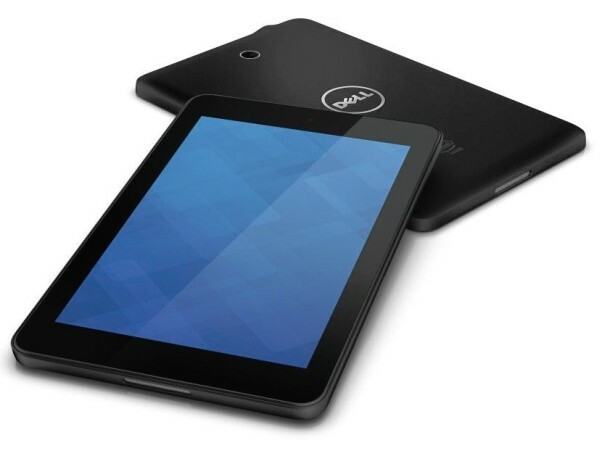 Dell Venue 7 – A surprising presence in our Best Tablets of 2014 top, due to the fact that Dell’s tablets are not as well known as the ones made by the other manufacturer’s mentioned above. Still, their Venue 7 model is one of the best tablet deals we’ve seen this year. Besides the HD display, it comes with an Intel Atom chipset, featuring a dual-core CPU, clocked at 1.6 GHz, 2 GB of RAM and a 3.15 MP camera. The battery has a capacity of 4100 mAh and last but not least, the operating system of choice, is Android 4.2.2 Jelly Bean, upgradeable to 4.4.2 KitKat. Get it now, from $129.99! So there you have it, the best 7 inch tablets of 2014, in our opinion. We know that none of this models is actually the best tablet on the market, if we’re looking at the specs, but they can definitely be considered great deals, being a perfect combination between mid-range specs and a pocket-friendly price tag. Like mentioned above, let’s not forget that almost all devices sporting a display with this size are mid-rangers, while top notch internals are now used by 8 inch tablets or bigger models. For those of you who are looking forward to making a great Christmas gift this year, you can use our suggestions and you will definitely make somebody happy, not to mention that you won’t have to spend a lot of money, since most of the models present in our top are relatively cheap tablets. So, what do you think about our suggestions? Do you know other models which can make it to the best 7 inch tablets of 2014 top? If so, let us know, using the comments section below!